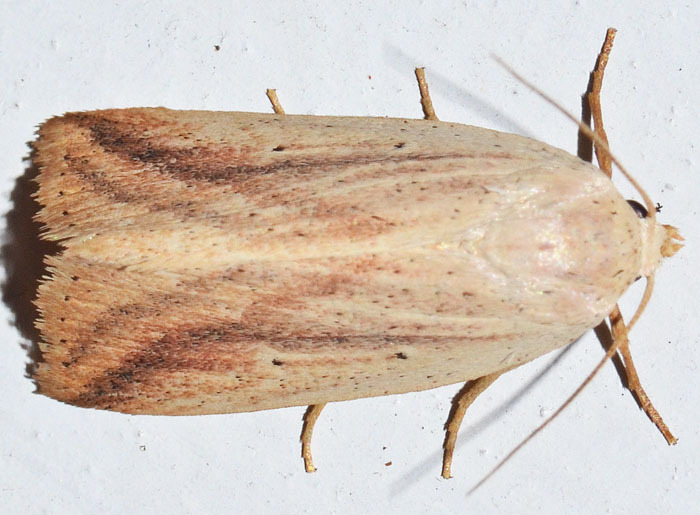 Amolita obliqua - Hodges#9819 (Oblique Grass Moth). Size: approx. 13 mm. Photo: 07/18/15, 10 pm. Pale moth with a length of about half an inch. The genus has at least five species in North America.